Please read the following conditions carefully before continuing. 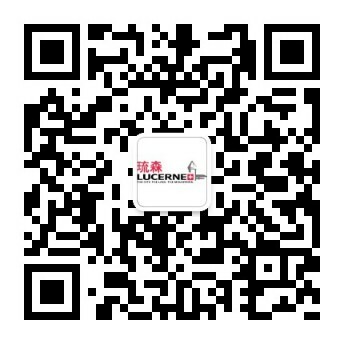 Persons who log on to the Luzern.com website of Lucerne Tourism signify their agreement to the following conditions. Luzern Tourismus LT AG (Bahnhofstrasse 3, 6002 Luzern, Schweiz), CHE-106.847.745, Aktiengesellschaft, operates the website luzern.com and is therefore responsible for the collection, processing and use of your personal data and the compliance of the said data processing with Swiss law. The said data is collected and processed for the purpose of allowing you to use our website establishing a connection), ensuring system security and stability in the long term and allowing our internet offering to be optimised, as well as for internal statistical purposes. This is our legitimate interest in the processing of data within the meaning of Art. 6 para. 1 lit. f GDPR. The IP address in particular is used in order to determine the country of residence of the visitor to the website and set the language of the website accordingly. The IP address is also analysed for investigation and prevention purposes in the event of an attack on the network infrastructure of luzern.com or if other abuse or misuse of the website is suspected and, if applicable, during a criminal procedure to identify and take action against the relevant users under civil and criminal law. By registering, you give your agreement to the data provided being processed for regular dispatch of the newsletter to the address you provided, for the statistical analysis of user behaviour and optimisation of the newsletter. Your consent constitutes our legal basis for the processing of your e-mail address in the sense of art. 6 para. 1 lit. a GDPR.We are entitled to commission third parties with the technical processing of advertising measures and to pass your data on for this purpose (see under Section 2). This personal data is processed by our partner and only used, stored and archived to perform the contract. Use of the data is governed and restricted by a contract data processing agreement between LTAG and its partners. This processing is based on the taking of steps prior to entering into a contract and the performance of a contract within the meaning of Art. 6 para. 1 point b GDPR. We also take data privacy within our organisation very seriously. Our employees and the service providers commissioned by us are obliged to maintain confidentiality and comply with our data protection provisions. In addition, they are only granted access to personal data to the necessary extent. is transferred to servers at Google, a company of the holding company Alphabet Inc., in the US and stored there (see Section 10 Note about data transfer to the US). As IP anonymisation (“anonymizeIP”) is enabled on this website, the IP address is abridged within the Member States of the European Union or in other Contracting States to the Agreement on the European Economic Area and Switzerland before being transferred. Google does not combine the anonymised IP address transferred by your browser for Google Analytics with other data. Only in exceptional cases will the full IP address be transferred to a Google server in the US and abridged there. In these cases, we ensure by means of contractual guarantees that Google maintains sufficient data protection levels. The information is used to analyse website usage, compile reports about activities on the website and to provide other services associated with use of the website and Internet for market research purposes and needs-based website design. This information may also be transferred to third parties if this is required by law or if third parties are commissioned to process this data. According to Google, the IP address will not be linked to other data concerning users under any circumstances. Instead of downloading the browser plugin, users can click on this link to prevent Google Analytics from collecting data on this website in future. An opt-out cookie will then be stored on the user’s device. If users delete cookies (see Section 5 Cookies), the link must be clicked again. Google will use this information to evaluate the use of the website with regard to the advertisements to be placed, to compile reports on the website activities and advertisements for the website operators and to provide further services connected with the use of the website and the Internet. Google may also transfer this information to third parties if this is required by law or if third parties process this data on behalf of Google. However, Google will under no circumstances associate the IP address of users with other Google data. If these plugins are enabled, your browser establishes a direct connection with the servers for the relevant social networks as soon as you call up one of our websites. The content of the plugins is transferred from the social network to your browser directly and integrated by your browser into the website. The plugins can of course be disabled again with just a click of the mouse.. If you are a Google Plus member and do not want Google to link the data collected via our website to your member data stored with Google, you must log out of Google Plus before visiting our website. If you click on a link to one of our social media profiles, a direct connection is established between your browser and the server of the relevant social network. The network will therefore receive the information that you are visiting our website with your IP address and have opened the link. If you open a link to a network while you are logged in to your account for the relevant network, the content of our page may be linked to your profile on the network, meaning that the network can directly assign your visit to our website to your user account. If you wish to prevent this, you should log out before clicking on this kind of link. This assignment will happen anyway if you log in to the relevant network after clicking the link. This data processing is based on Art. 6 para. 1 point f GDPR, and therefore our legitimate interest. •	to carry out services that you requested or to which you have given your consent (for example, to newsletter pursuant to pSection 9)to the extent specified above. •	to comply with legal obligations. If you have any questions about data protection on our website, would like more information or want to ask for your data to be erased, please contact us by completing the relevant online contact form or sending an e-mail to dsb@luzern.com.